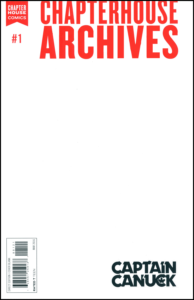 Introducing Chapterhouse Archives, an ongoing monthly series that reprints all of the essentials in the Chapterhouse catalogue. All Archive issues feature an all new cover and five page back-story by some of comic-doms brightest and best! 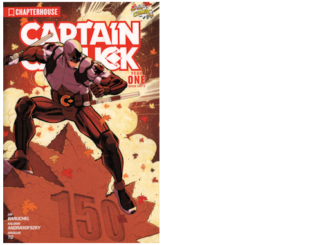 And what better issue to kick-off the archives than the legendary Captain Canuck #1! 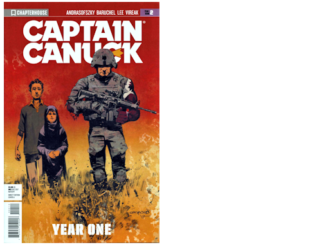 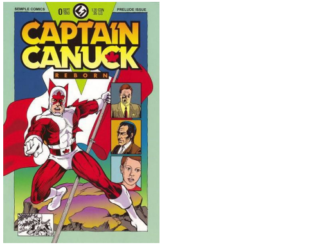 Communist foreign agents commandeer an Arctic radar base and threaten Canada with a nuclear strike unless the country surrenders; Captain Canuck and his partner, Blue Fox, are sent to stop them. 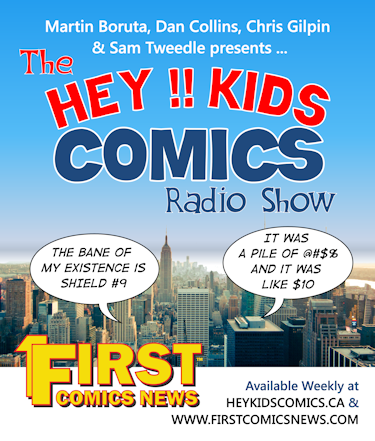 Archive cover by Rachel Wells and all-new back story, written and drawn by Richard Comely himself!